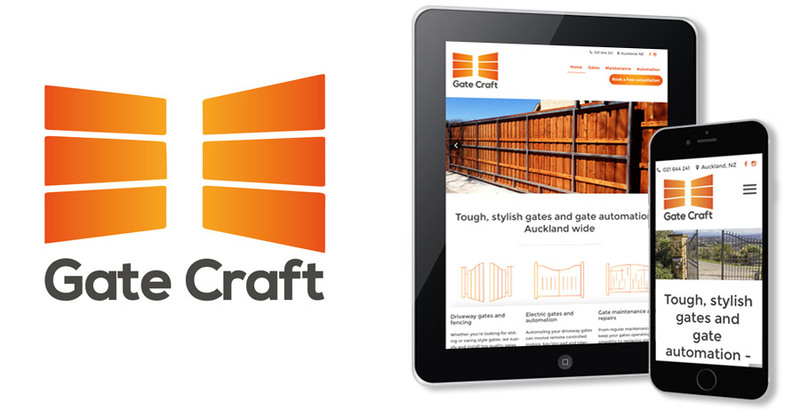 These guys (Gate Craft) rock... and if you're in Auckland and looking to install some gates, they are the guys to talk to. Brand new on the custom gate block as an independent company, they're offering free consults and quotes (aka pick their brains about what will work best at your place and what it'll set you back) and they'll make and install your gates. We created a warm, inviting and striking logo that works well large and small, then put together a website and social media channels to get them them found in the competitive Auckland gates market. This one's a Joomla site, responsively mobile friendly and very fast.